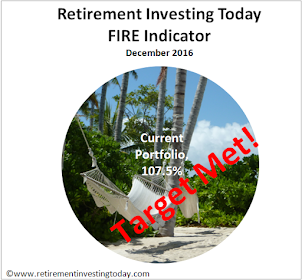 Retirement Investing Today: How can banks be back to big profits and big bonuses so quickly? How can banks be back to big profits and big bonuses so quickly? One method the banks are clearly using is to widen the margin between what they borrow at compared to what they lend at as can be clearly seen in my chart today. 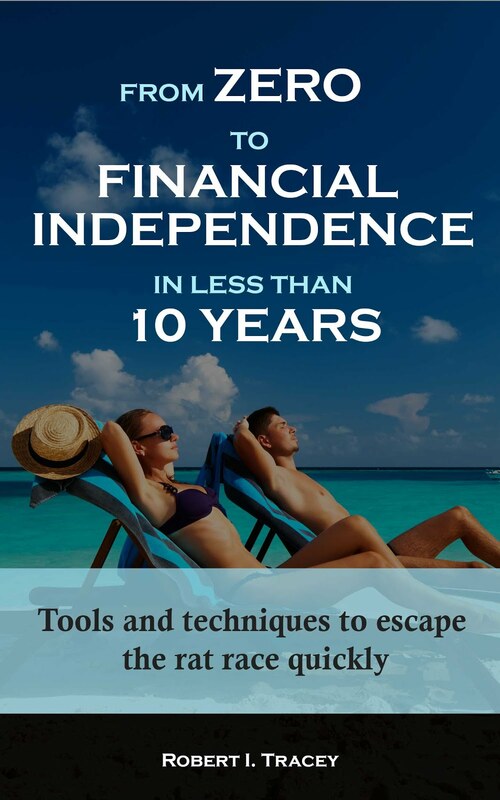 This means that any interest earning cash that I am holding as part of my retirement investing strategy is losing out over the potential interest rate that I could have once expected with the extra hair cut being used for banks earnings and bonuses. 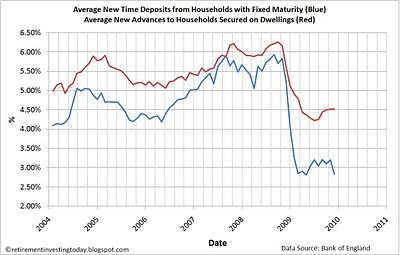 The blue line shows the monthly average of UK resident banks interest rates of new time deposits with a fixed original maturity from households. I have taken the average of three data sets which are the maturity <=1year, maturity >1year<=2years and the maturity >2years. The red line shows the monthly average of UK resident banks interest rate of new loans secured on dwellings to households. I have taken the average of five data sets which are the floating rate, fixation <=1year, fixation >1year<=5years, fixation >5year<=10years and the fixation >10years. The average interest rate paid to households between 2004 and 2007 was 4.81% with the average borrowing rate being 5.47%. That gave the banks a margin of 0.67%. In the last year the average rate paid has been 3.13% with the average borrowing rate being 4.53%. The banks have widened their margin to 1.41%. Finally, in the last month of the data set (November 2009) the banks have been able to further widen their margin to 1.69% with the average rate paid to households being a low 2.84%.